A Score Of Amazon's Renown Hall Of Fame book reviewers are praising author Peter Thomas Senese's international legal thriller about a father's unbowed determination to reunite with his internationally abducted son titled Chasing The Cyclone. Several of Amazon's elite book reviewers - members of Amazon's renown HALL OF FAME reviewers are praising best-selling author's Peter Thomas Senese's recently released E-book international legal thriller CHASING THE CYCLONE as an electrifying story fans of high suspense thrillers should read. CHASING THE CYCLONE is presently available exclusively as an E-book on Amazon in E-book through the Christmas Holiday Season. Senese's deeply personal novel will be released in hardcover in early January, 2012. The author has become an outspoken advocate against international child abduction. 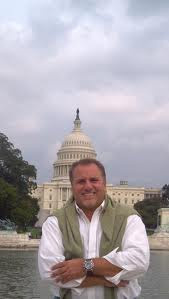 Peter Thomas Senese is donating 100% of his author royalties to the I CARE Foundation - a non-profit organization dedicated to assisting prevent international child abduction. Peter Thomas Senese commented, "I am pleased to donate my author royalties to the I CARE Foundation as the organization is dedicated to making a positive difference for children and parents targeted for abduction." CHASING THE CYCLONE, Peter Thomas Senese's highly anticipated international legal thriller top book critics are praising as a legal thriller every loving parent should read is now available exclusively in E-book at Amazon. Senese's novel has caused a stir amongst readers, as praise for the author's inspirational thriller has caused a few readers to throw their Kindle in reaction to this heartfelt story of a father desperately trying to reunite with his abducted child. Best-selling author's Peter Thomas Senese's international legal thriller CHASING THE CYCLONE numerous Amazon's top book reviewers are praising as an electrifying, must read is available exclusively on Amazon in E-book through the Christmas Holiday Season. 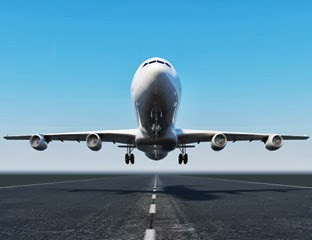 Peter Thomas Senese commented, "Chasing The Cyclone catapults the reader into the wicked and evil world of international child abduction, where typically, and oddly, the rule of law and international treaty is usually not upheld. Children and parents targeted for this incomprehensible act enter an odyssey so complicated and overbearing that the vast majority of abducted children are never returned home. In writing Chasing The Cyclone, it was not only my intent to write a riveting legal thriller, but to create a tool in the form of a closely-related novel that educates society about the epidemic of abduction we face. 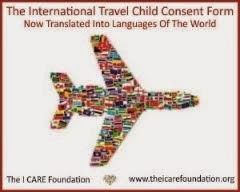 I am also pleased to share that I will continue to financially support the I CARE Foundation and the organization's efforts to help stop international child abduction by donating 100% of my author royalties to the foundation." The Examiner, in its review of Peter Thomas Senese's "Chasing The Cyclone" stated that, the novel, "Very well changes the way you look at life, child custody, and interactions with your child's other parent. I cannot endorse this book strongly enough." Amazon top book reviewer Daniel Jolley endorsed the Examiner statement when the renown book critic said, "I would go so far as to encourage every loving parent to read this book." Kate Fitzgerald added, "I am very fortunate that I caught myself as I was about to throw my Kindle against the wall. Senese is a very gifted writer, and his Chasing The Cyclone is one of the best books I have ever read." Similar sentiments have been shared by numerous Amazon top book reviewers, Peter Thomas Senese's novel Chasing The Cyclone is a masterful, high-octane international legal thriller that enraptures readers into the dark and unthinkable world of global parental child abduction. Inspired by the best-selling author's own experiences racing into the storms of child abduction, Amazon's critics have called "Chasing The Cyclone" 'a Call-To-Arms against this worldwide epidemic and Peter Thomas Senese as a master storyteller'. "Chasing The Cyclone" is now exclusively available via E-book from online merchants, and will be available in hardcover wherever books are sold in the beginning of 2012. 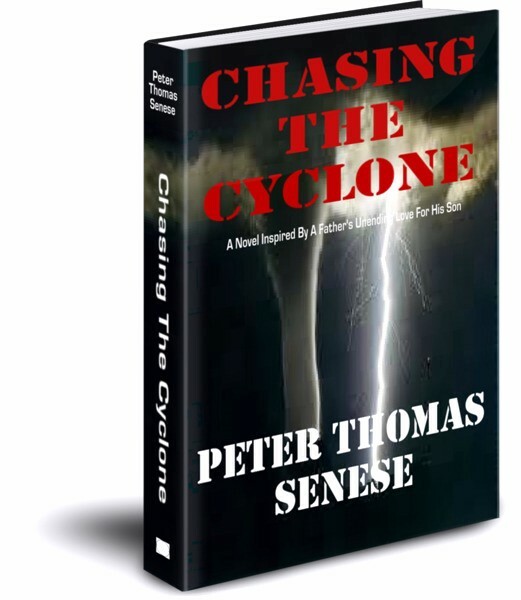 Top Amazon book critics and reviewers have praised Peter Thomas Senese' "Chasing The Cyclone". Peter Thomas Senese's legal thriller is deeply inspired by his own personal experiences of having a child internationally abducted and taken to the other side of the world, as well as the hardship thousands of other targeted parents and chidlren of international abduction face each year. International parental child abduction is a federal crime in most countries, including the United States and Canada. According to published studies, including those cited in Peter Senese and Carolyn Vlk's The World Turned Upside Down, there could be as many as 120,000 American and Canadian children internationally abducted over the next decade.